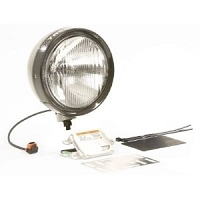 Most modern vehicle are equipped with plastic headlamp lenses and a specific bulb style that has no aftermarket support in higher wattage options. Along with these non-upgradeable bulbs, most new vehicles are equipped with pulse width modulation systems that limits the amount of power to the headlamps. Sadly, this type of system rules out many forms of aftermarket upgrade solutions. 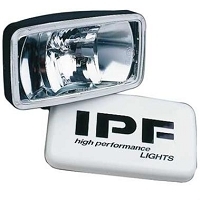 The solution, IPF has taken the very successful IPF 7 inch round headlamp and built it into a bolt-on body. 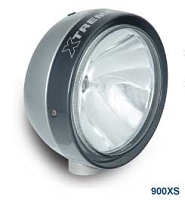 The 900DB auxiliary like kit uses a European type beam pattern paired with a powerful 80-watt low beam, 110-watt high beam dual filament H4 bulb giving an outstanding beam combination. 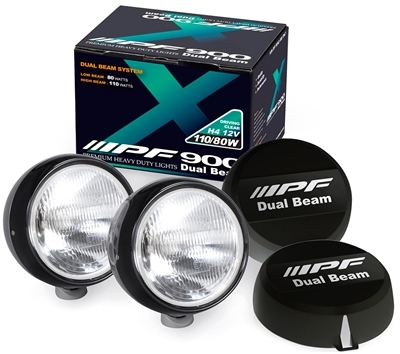 Users can expect up to a 50% increase in low beam output and up to 50% increase in high beam range over most factory headlamp systems.